Congratulations ! Wir gratulieren ! CaliforniaGermans congratulates Christian Klugmann, a Berliner in L.A., on his being honored at LA City Hall for his dedicated charity work at Los Angeles schools. 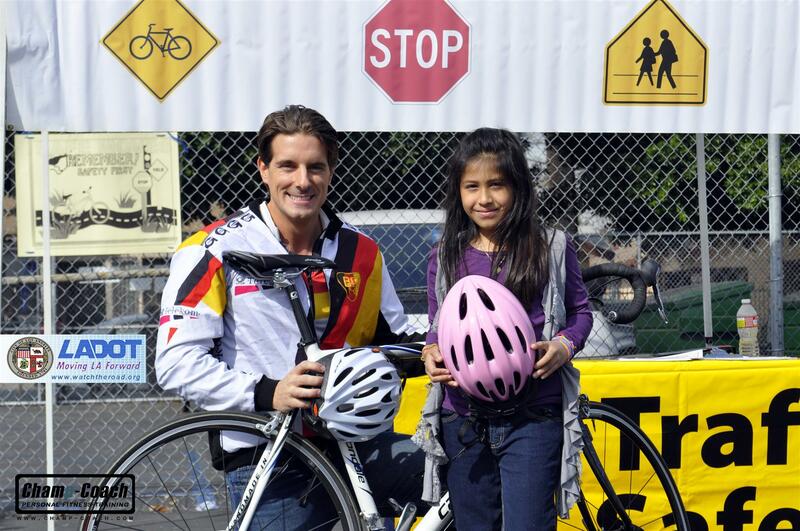 Christian, who competed for 3 years with the German National Cycling team visited various elementary schools in L.A. over the year and taught the children about “Bike Saftey”. He served as a spokesperson for the LADOT (Los Angeles Department of Traffic) and educated young students on how to ride a bicycle safely and how to prevent accidents. For an interview with Christian Klugmann click here .